Former minister Yashwant Sinha says even Americans were forthcoming about nuclear pact, so France should also be transparent about the Rafale deal. 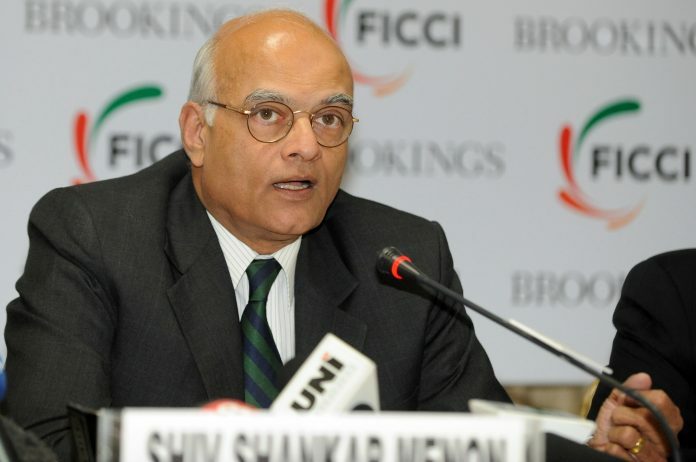 New Delhi: The Modi government’s refusal to divulge details about the purchase of 36 Rafale jets is making it look “guilty”, former national security adviser Shiv Shankar Menon has said. Menon was speaking at the launch of Bharat Karnad’s book Staggering Forward: Narendra Modi and India’s Global Ambition at India International Centre Thursday. The BJP-led central government has courted controversy after allegations that it had paid nearly twice the amount per Rafale jet and purchased only 36 of them against the requirement of 126. “Even when the nuclear deal was signed, the Americans were a lot more forthcoming about the details than we were. Hope the French will do the same,” Sinha added. Another speaker, former Navy chief Admiral Arun Prakash (retired), said the Rafale deal will not compromise national security if the government divulges generic details about the contract. Senior Congress leader Jairam Ramesh has termed Modi government’s economic and foreign policies a “big disappointment”. “If you evaluated the Modi Government on the parameters of expectations being fulfilled, the last four years have been a deep disappointment in economic and foreign policy term,” he said. “There was an electric atmosphere when he was sworn in but unfortunately, he didn’t make much of it,” added Ramesh. Citing China as the primary threat in the sub-continent, Sinha stressed on the need to “review and revise” India’s no-first use policy when it comes to nuclear warfare. “Despite being party to formulating the no-first use policy in 2003, I believe the time has come to re-examine it. It has been 15 years since we adopted the doctrine, a lot has changed since then,” Sinha said. “If nuclear weapons are supposed to be deterrents, then no first-use detracts from that,” he added. Menon said that the policy had already been reviewed thrice, but it was found that retaining it was “in the interest of the nation, at present”. Karnad, however, identified Pakistan as the primary threat. “If Pakistan does use nuclear weapons, as they have made it clear that they will, if only tactically, then India will have no time to react,” he said. “Then, foreign parties will intervene and cajole India like they always have,” he said. Stressing on the need to develop armaments and military equipment internally, nearly all the panelists were in agreement that India has not spent the requisite time and energy on augmenting indigenous production. Karnad was of the view that the lack of trust in Indian talents has led to this situation. “We didn’t even take the first step because we didn’t want inferior technology. That was myopic,” he said. Taking a slightly different stand, Prakash said it would be unfair to squarely blame the armed forces for seeking foreign technology. “The real culprits are our political masters,” he said. “For the longest time we only purchased equipment from Russia. It was they, not us who decided what equipment we needed,” the former naval chief said. “But we followed the orders we were given by the ministry,” Prakash added. Sinha, however, said that India needs foreign technology. “We need FDI and foreign technology in defence production, so as to be able to allow scientists to develop indigenously,” he said. There has been no use of a nuclear weapon since Hiroshima and Nagasaki in 1945. These are weapons of peace, meant to deter conflict, not win a war. NFU is a sane policy. Very unfortunate that Pakistan has deployed tactical nuclear weapons, possibly in response to Cold Start. There should be a dialogue between the two countries, to forestall miscalculation.